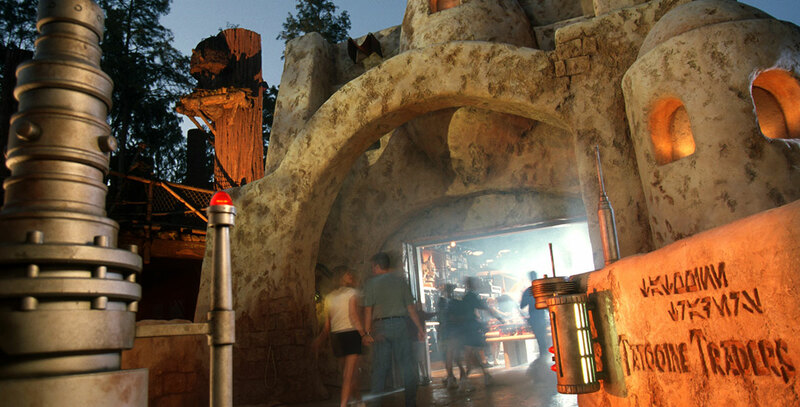 Tatooine Traders Shop in Echo Lake at Disney’s Hollywood Studios at Walt Disney World themed to Star Wars: Episode I—The Phantom Menace; opened November 10, 1999. Guests can build their own droid and purchase Star Tours memorabilia. It was formerly Endor Vendors, themed after Star Wars: Episode VI—Return of the Jedi and operating from May 1, 1989 until June 6, 1999.